This is the scent of a tropical paradise with this Pacifica perfume. With the economy the way it is you may have postponed those plans for that tropical vacation at least for now. However, traveling to those exotic locales is still possible with Pacifica Beauty’s Take Me There travel sets of roll-on perfume, body wash, and body butter. These Pacificia perfume sets come in four scents: Hawaiian Ruby Guava, (a fruity blend of sweet guavas, citrus and coconut); Tuscan Blood Orange (a bubbly combination of citrus and raspberry); Indian Coconut Nectar (a more sultry scent of vetiver warmed with coconut and vanilla), and Tahitian Gardenia, the one Pacifica sent me for this review. The scent of Tahitian Gardenia will carry you away to some place far off just like a mini-vacation. When you wash with this scent, you can close your eyes and smell the beautiful sweet blends of gardenia, jasmine, sweet orange and tea leaves blooming and carried by warm ocean breezes that Pacifica Beauty had captured and bottled. This particular scent is not an overpowering gardenia fragrance but more of a perfect light floral marriage any floral lover would cherish wearing. Without sulfates or parabens this heavenly body wash will pamper, but once you apply the intensively moisturizing matching gardenia body butter, then you will be hooked and need more–like me! Trust me, Pacifica Beauty knows how to indulge your senses with their scents. 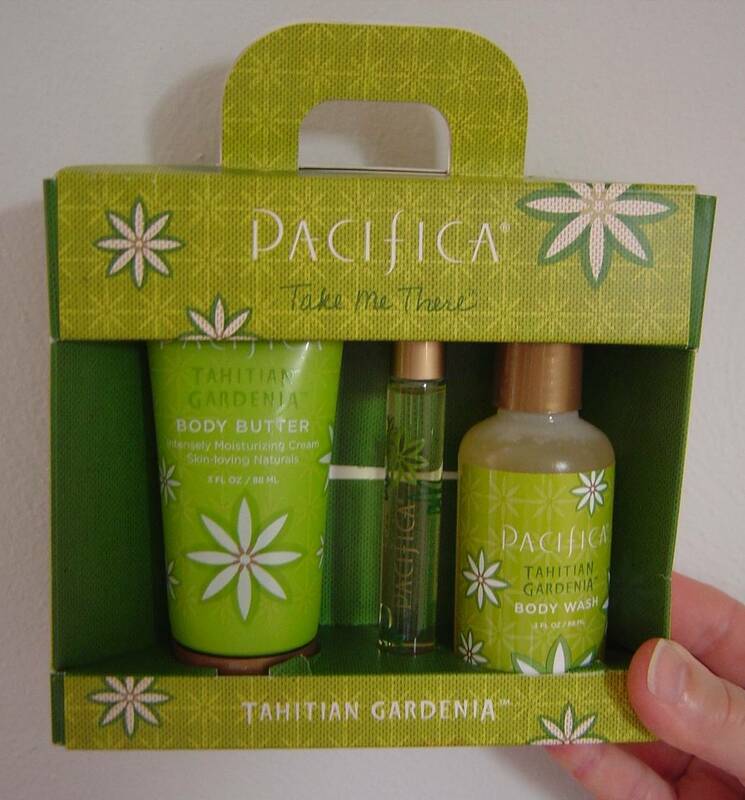 Pacifica Beauty and the Take There Tavel Set in Tahitian Gardenia ($18) is an ideal way to feel beautiful. Check the company’s website because it a wonderful addition to your perfume collection. Next Post Need a Cheap Homemade Callus Remover?